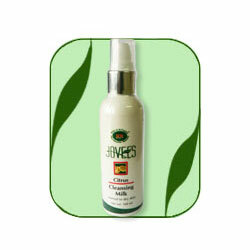 Jovees Citrus Cleansing Milk contains precious herbal extracts that cleanses skin in depth, help to achieve a clear matte-look skin. It keeps the complexion pure & even - toned all day long. Apply all over face, neck. Massage gently for 2-3 minutes with finger tips using circular strokes. Remove with moist cotton or rinse throughly with water. Follow with Jovees White Lilly Moisturing Lotion.